Pizza dip is one of my favorite appetizers, but it isn't the best dip for tailgating. It needs to be spread on bread slices and can get really messy. 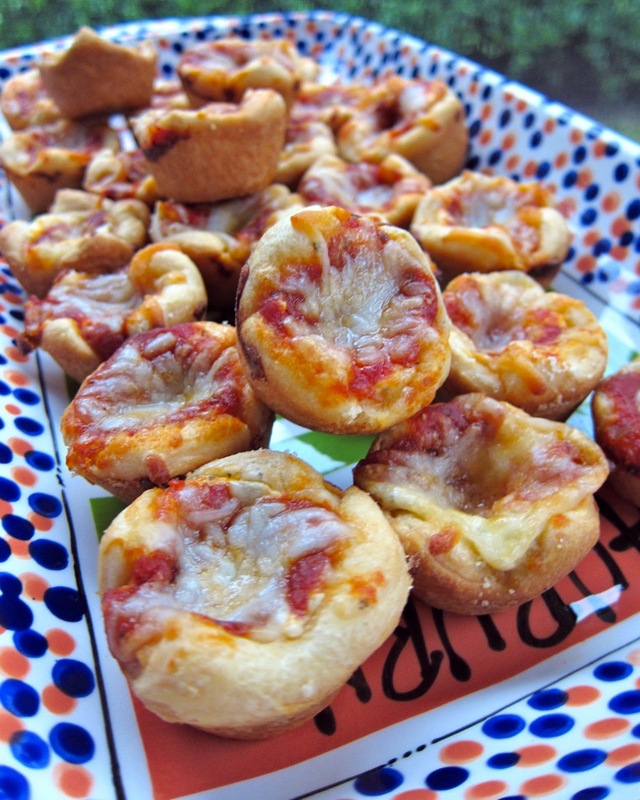 I really wanted pizza dip for our tailgate party last weekend, so I decided to make little individual pizza dip bites. I used refrigerated crescent rolls to make mini bread bowls and filled each one with the pizza dip. It worked great! I didn't' add any pizza toppings in my pizza dip bites, but I feel free to add your favorite toppings. I think olives, bell peppers, mushrooms or pepperoni would be great. Combine cream cheese and Italian seasonings , set aside. Lightly spray a mini muffin pan with non stick cooking spray. Unroll one can of crescent rolls and press dough into one large rectangle. Cut rectangle into 24 squares. Press dough squares into muffin cups and shape up around the edges. Repeat with remaining can of crescent rolls. Spread cream cheese mixture in bottom of each muffin tin. Top with half of mozzarella and parmesan cheese. Spread pizza sauce over the cheese mixture. Sprinkle with remaining cheese. Top with bell pepper and pepperoni (or toppings of your choice). Bake for 15-18 minutes, until crescent rolls are golden brown. I love your Friday snacky posts. Gets me ready for a great weekend. What a yummy looking appetizer. I bet they are delicious. Added another great recipe of yours to my pinterest board. These look so good. Oh these look awesome. 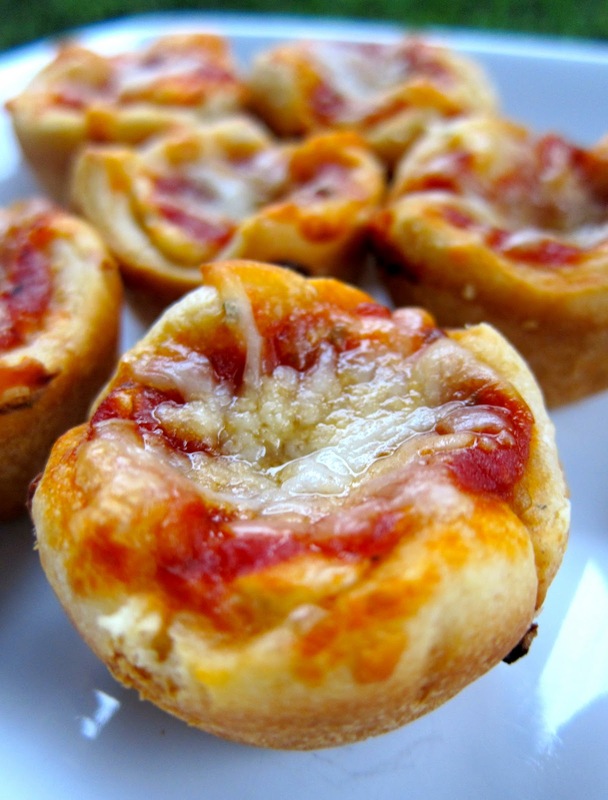 I've made pizza monkey bread and it was great, this is another fun recipe! I want to make this soon! Pizza... what's not to love? Thanks for the recipe. They were a big hit on my house today. We love the pizza dip so I knew these would be loved too. You are the Tailgating Top Chef, Stephanie. Thanks Chris! Good luck in the big game tomorrow - we will be pulling for your Vols! This is great! I found it on Pinterest and decided to feature it on my Top 5 Pins of the Week post! Thanks for sharing this! Come on by to see the post!